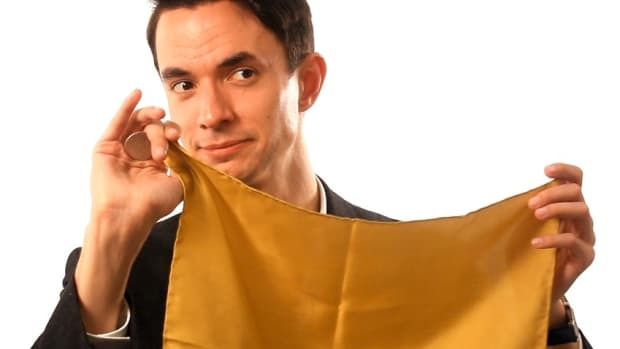 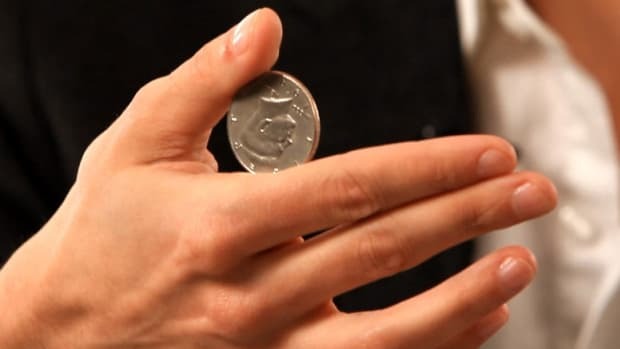 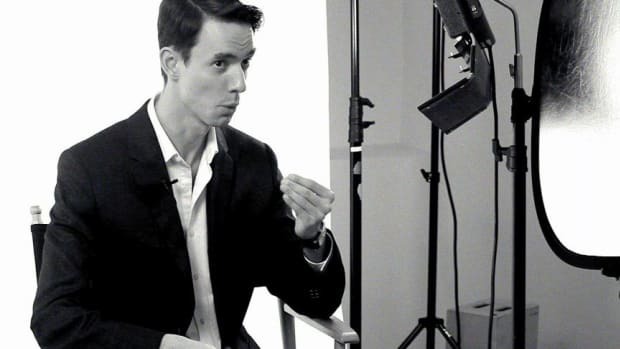 Learn how to do the coin through the pocket magic trick from celebrity magician Matt Wayne in this Howcast video. 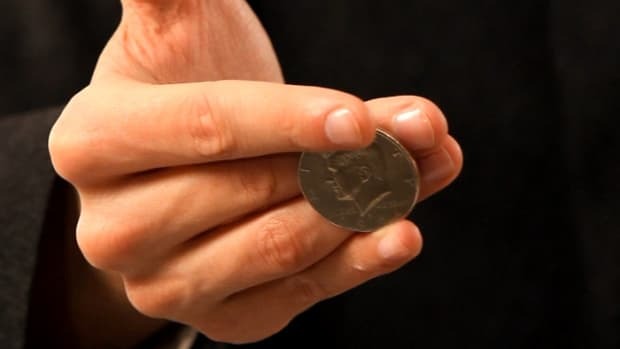 This is one of my personal favorite coin tricks, The coin through pocket. 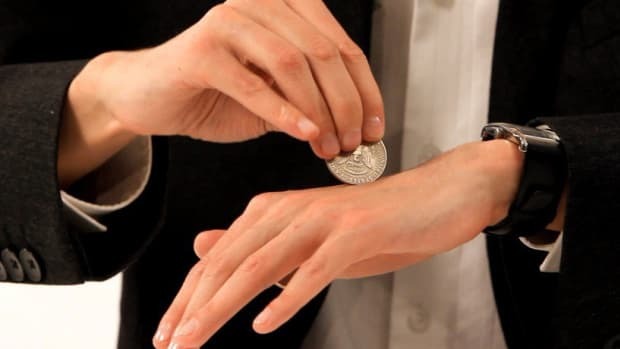 Four coins are shown, put into the hand, and then put down into the pocket. 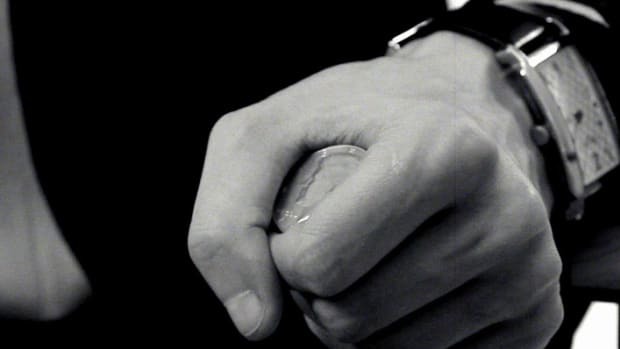 Taking a look right here, I think I actually left a hole in it, because you can actually remove a coin, hopefully without any holes. 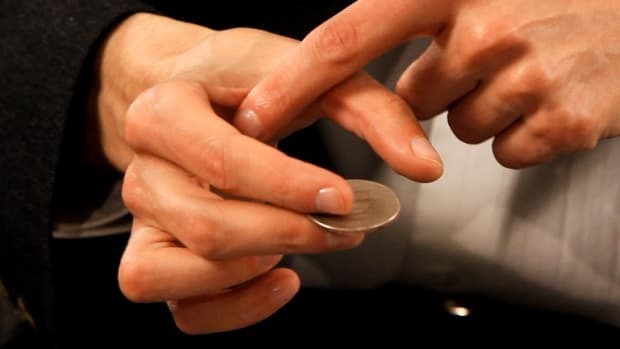 Now, as you dump the four coins into the left hand, you&apos;re actually going to secretly retain one of the coins in the right hand. 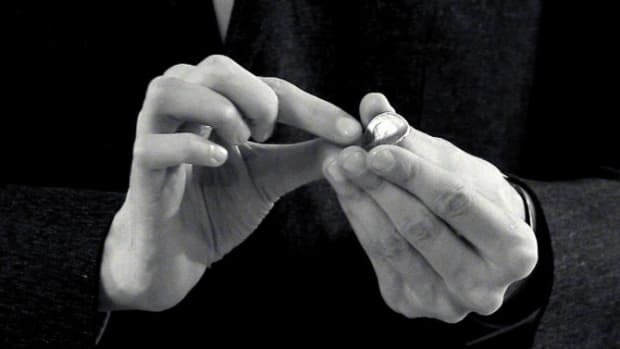 The move looks like this. 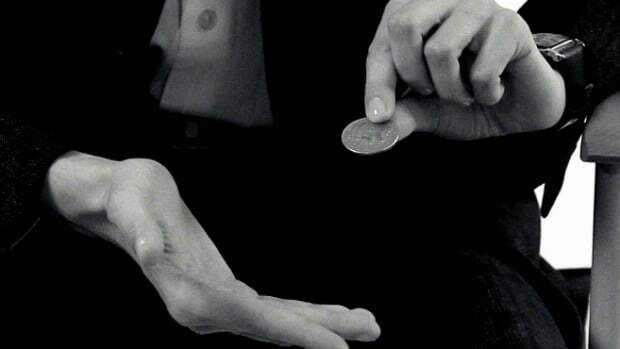 Really three coins. 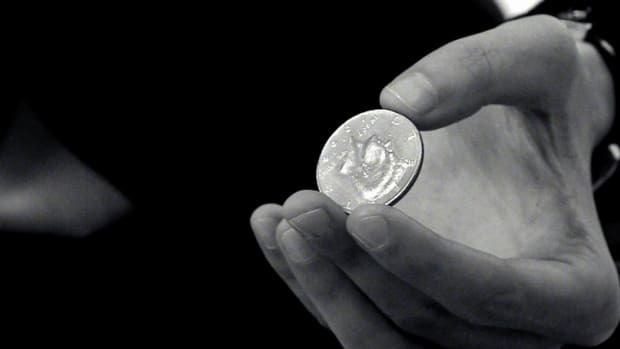 Now, because you&apos;re using more than one coin, you&apos;re covered. 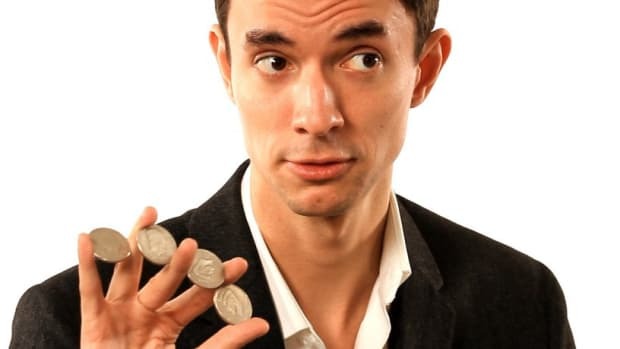 No audience member is actually going to have enough time to count the coins in the left hand, because you&apos;re immediately going to take these coins and place them into the pocket. 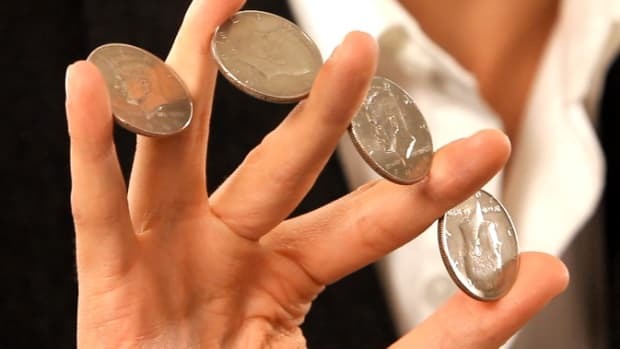 Now, what goes on over here is, one of the top coins on the stack is going to go into a thumb palm position, which is just by moving one coin up like this, and clipped between the thumb and the base of the forefinger, as you dump the coins. 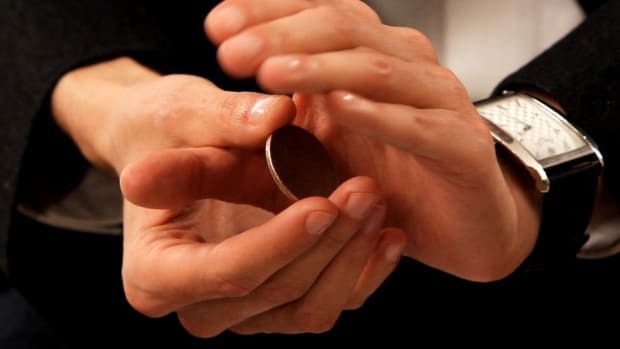 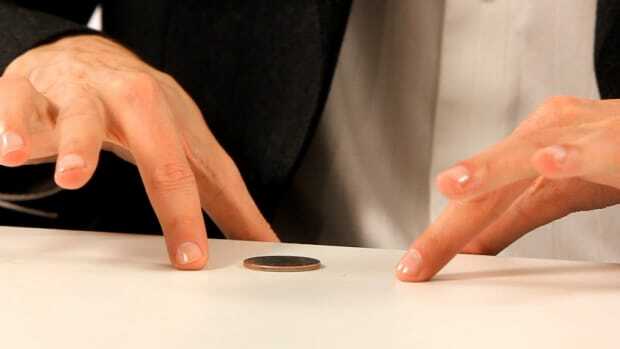 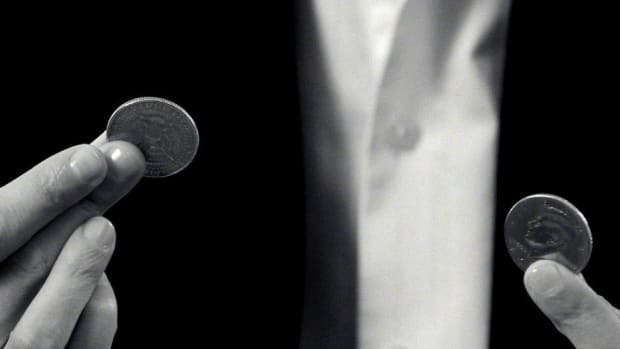 So once again, placing the thumb on top, turning the hands over, one coin is actually retained in the hand. 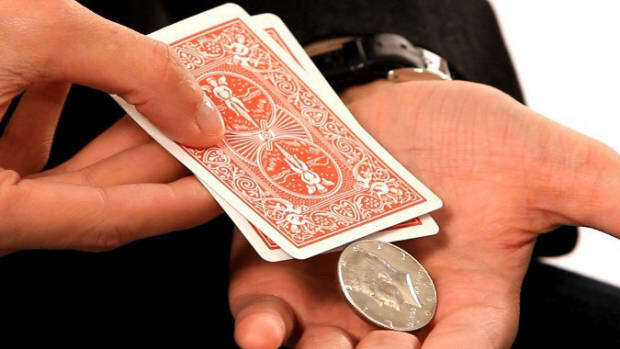 Three coins then are placed in the pocket. 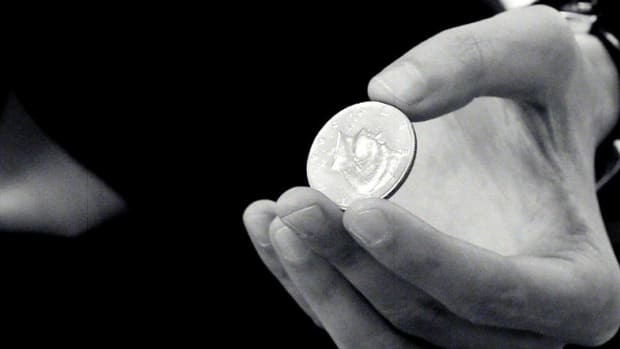 Your audience will think there&apos;s four coins now in your pocket, but secretly remember, you have one coin secretly palmed in thumb palm, right there. 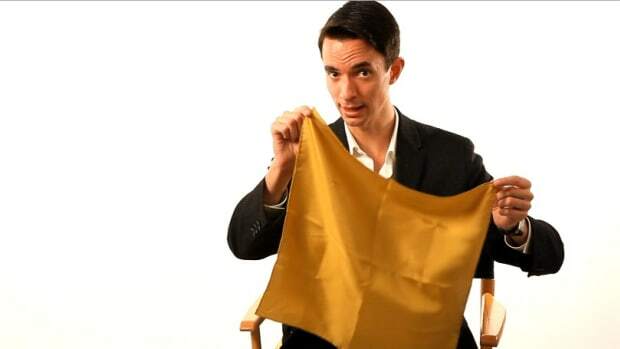 You make a little pass through your pant leg, with your left hand. 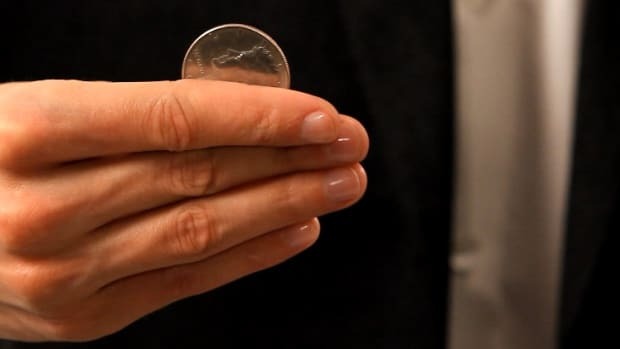 Pull up on your pant leg, then you&apos;re going to load this coin underneath the fabric by taking the coin, placing it on the fabric, and then peeling the spare fabric around your finger. 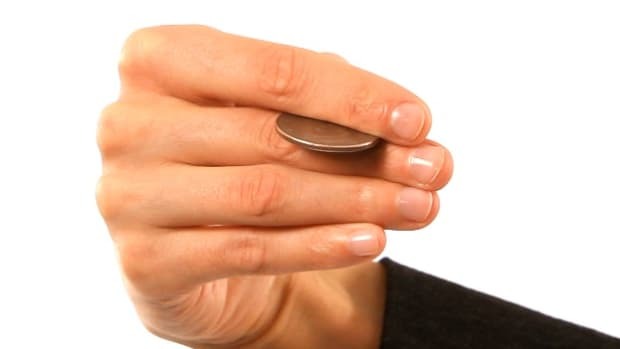 Then, just slowly pull out the coin that you placed underneath the fabric, and it will look like the coin is melting through your pants. 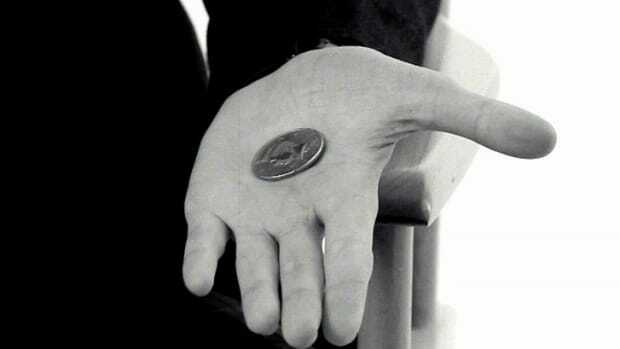 When the coin is revealed, simply open the pant legs like that, and show that there&apos;s no hole. 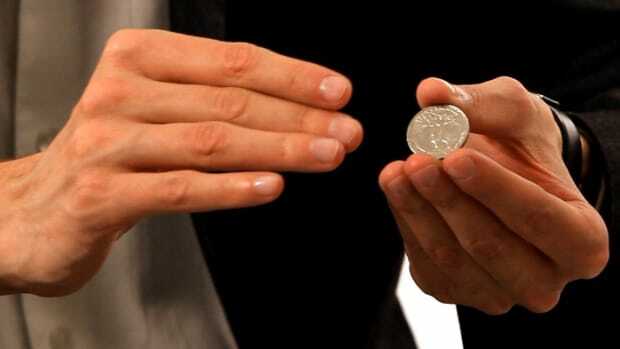 And that&apos;s how you do the coin through pocket trick.